Miguel Chapuis (JP / NeilPryde / Mystic) and Max Hochgrassl (JP / NeilPryde) - 17 and 19-years-old - have both been training hard over the winter… pushing themselves to the limit in both port and starboard tack conditions. Miguel Chapuis finished second behind Henri Kolberg (Staboard / Hot Sails Maui) during the Victor Fernandez Center Club PWA Youth World Cup, which was the first youth world cup of the year, while the young Spaniard managed to win the latest Junior event he entered in Almeria - as well as finishing 3rd in the senior’s. Meanwhile, Hochgrassl took home 4th place in the senior division. 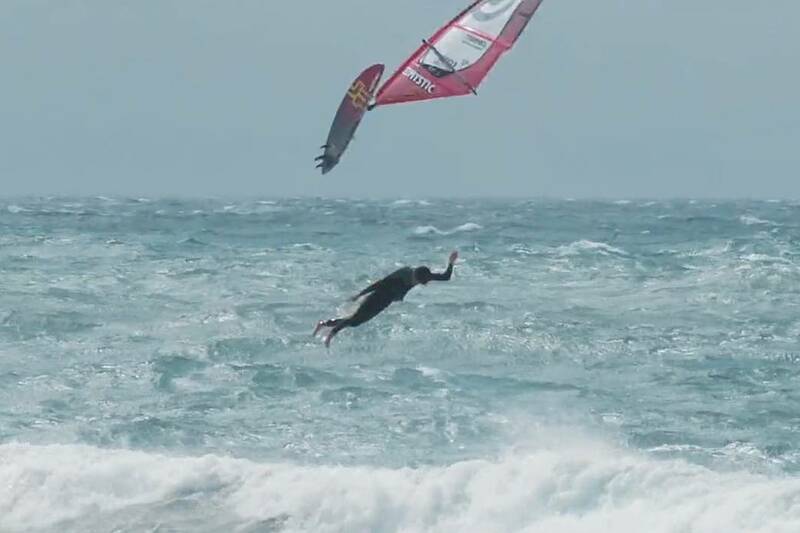 Their latest video is packed with starboard tack action from tabletop forwards and big backloops to some extremely painful looking double forward crashes.